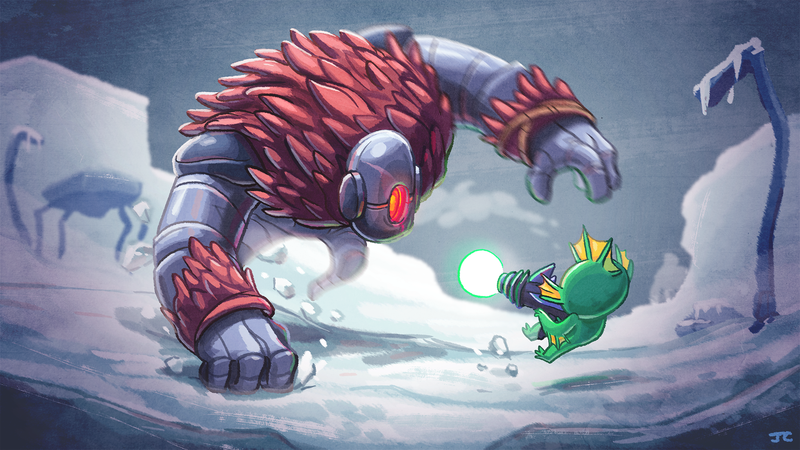 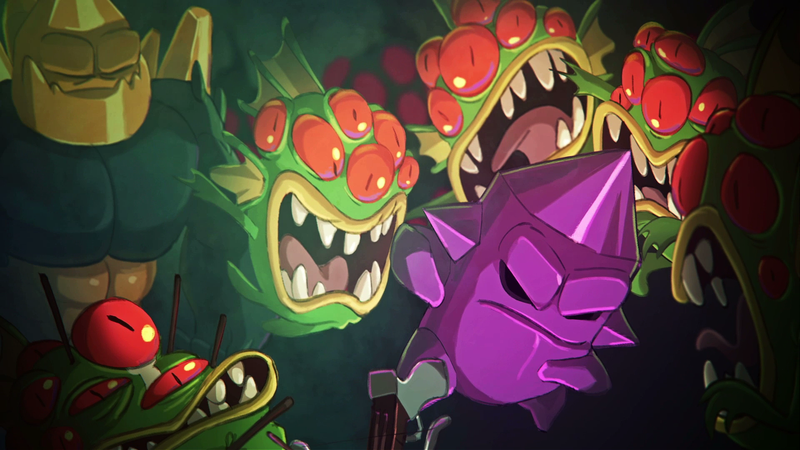 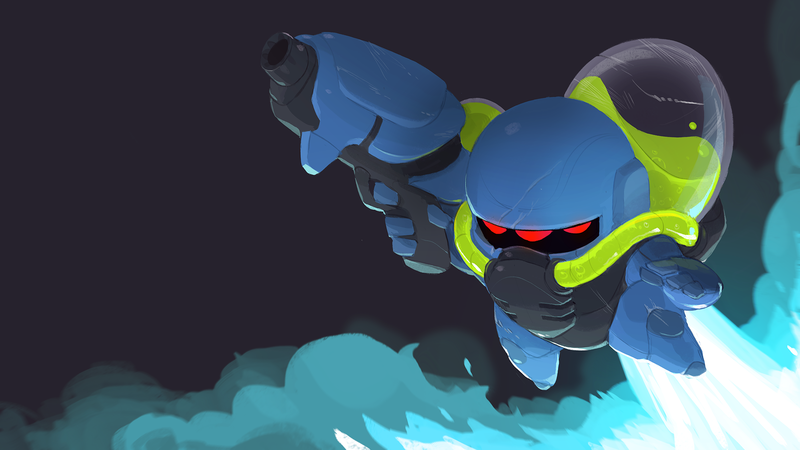 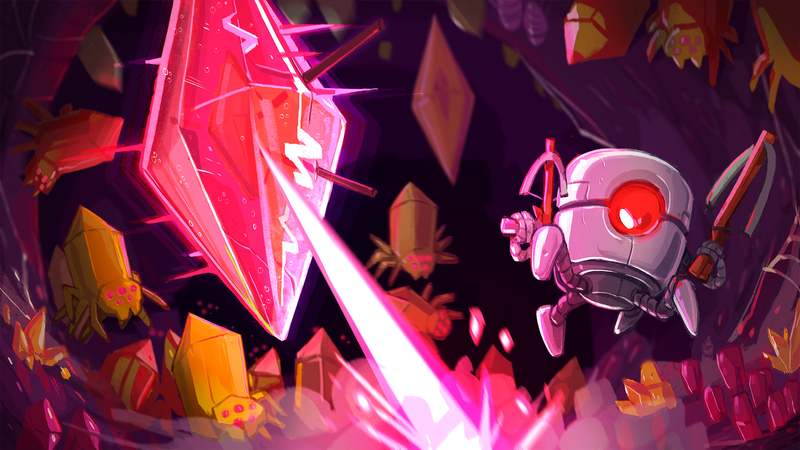 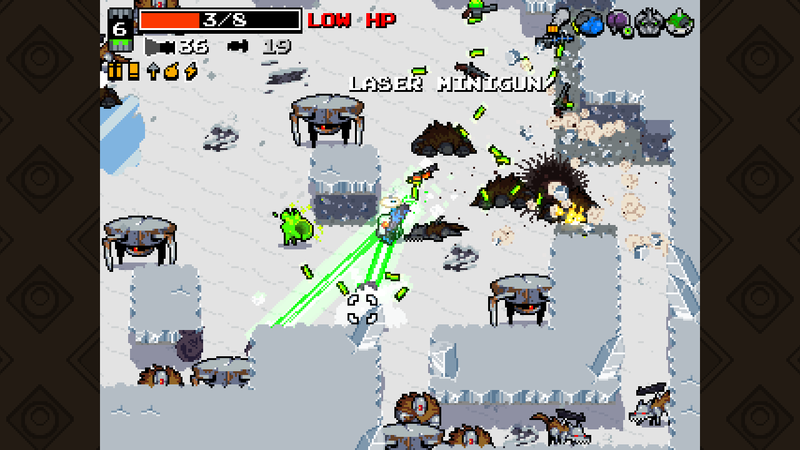 ""Strip away all the punkish ingenuity piled on Nuclear Throne and you're left with this: a skin-fidgeting, hair-tingling battle of textures. 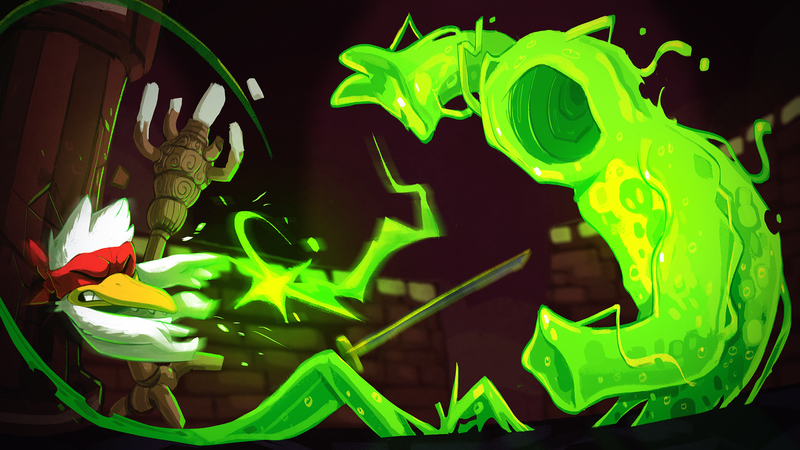 Hard meets sticky. 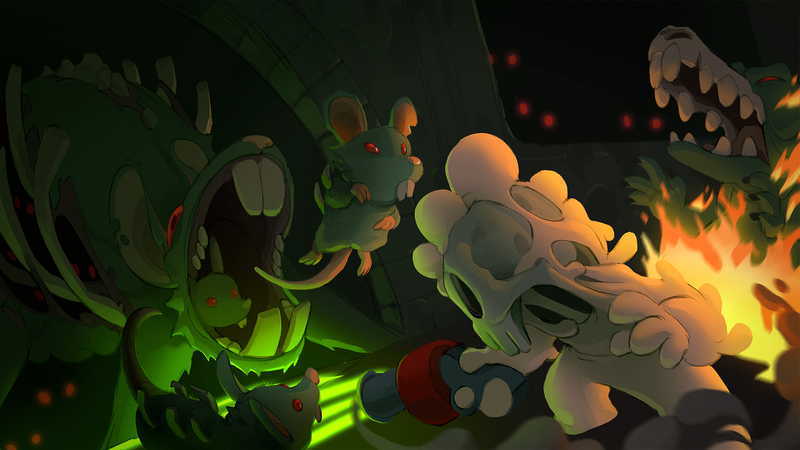 Bang meets squelch."" 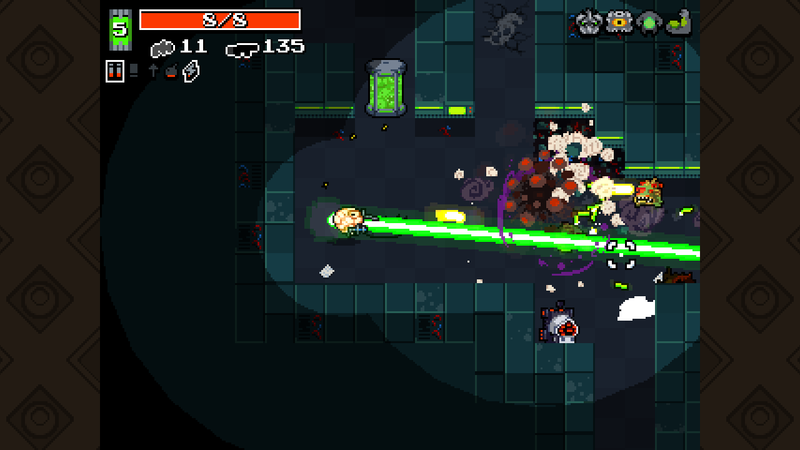 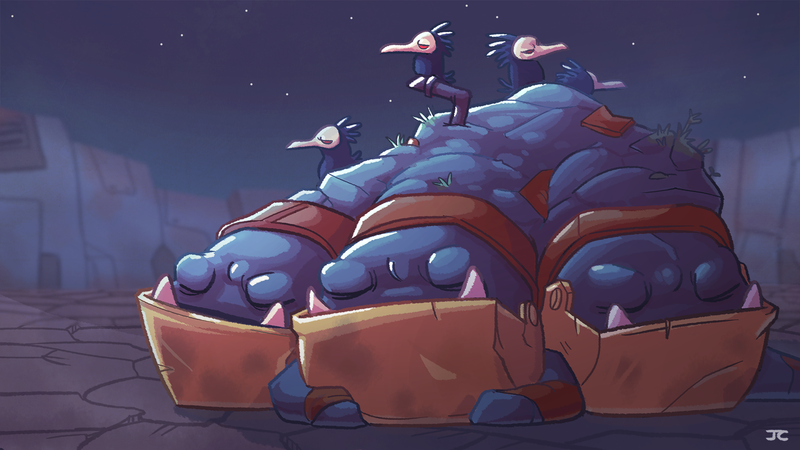 ""It’s a rapid-fire, deliciously crunchy randomized romp starring a cavalcade of characters from Vlambeer’s past."" 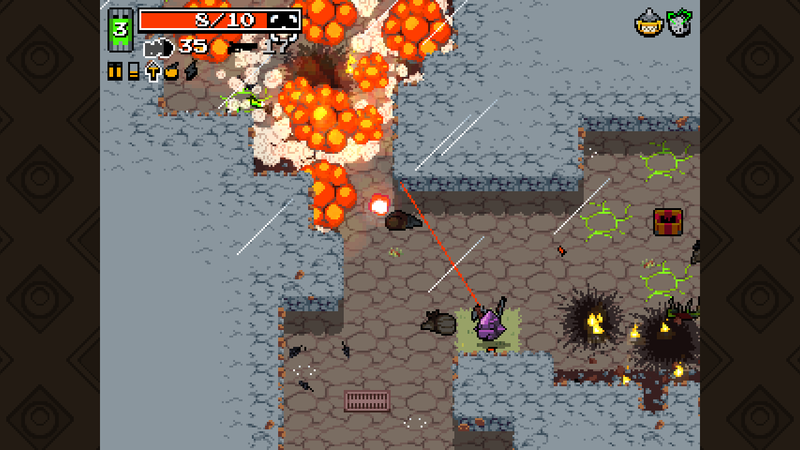 ""It’s an anarchic thrash of a roguelike where everything goes boom or splat—or, more frequently, boom and splat."" 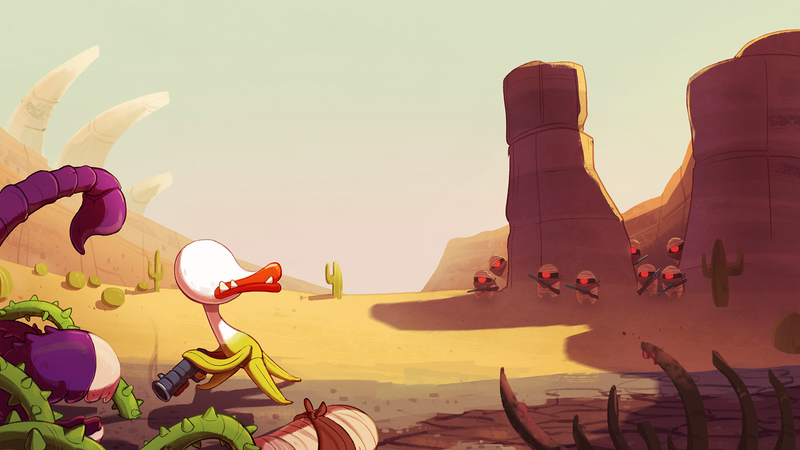 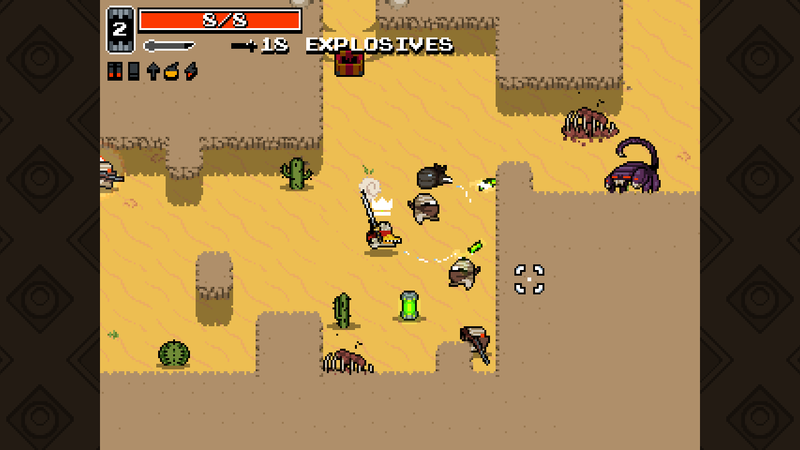 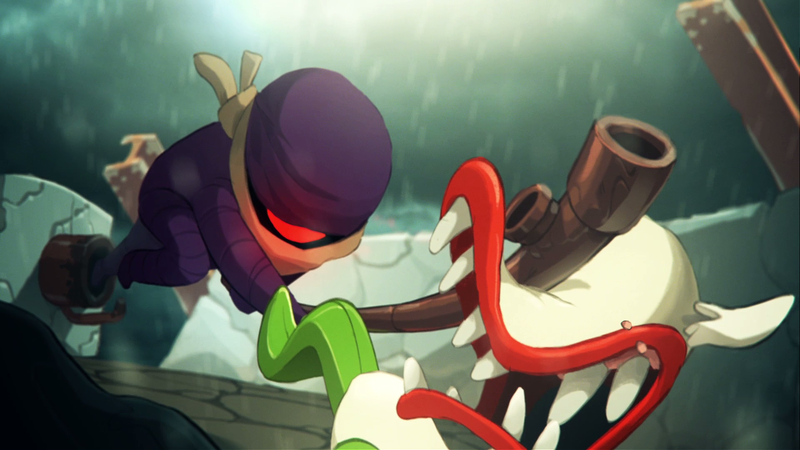 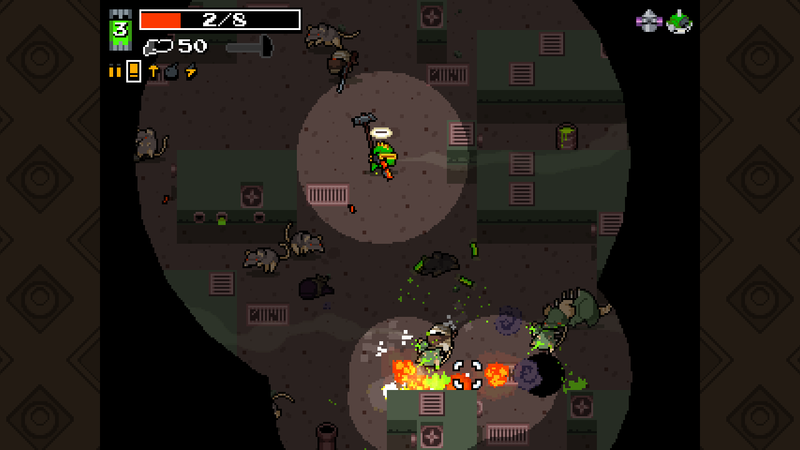 Vlambeer allows for the contents of Nuclear Throne to be published through video broadcasting services for any commercial or non-commercial purposes. 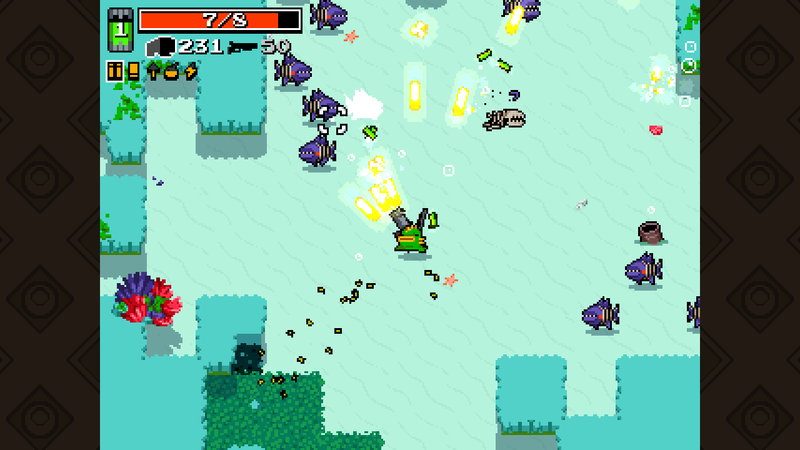 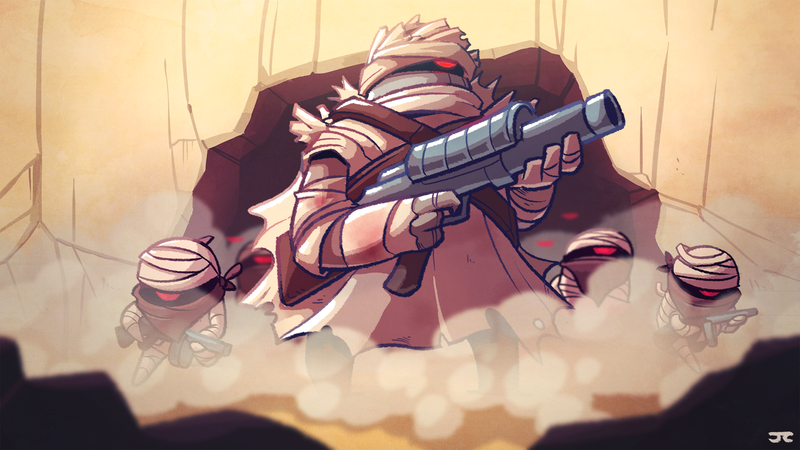 Monetization of videos created containing assets from Nuclear Throne is legally & explicitly allowed by Vlambeer. 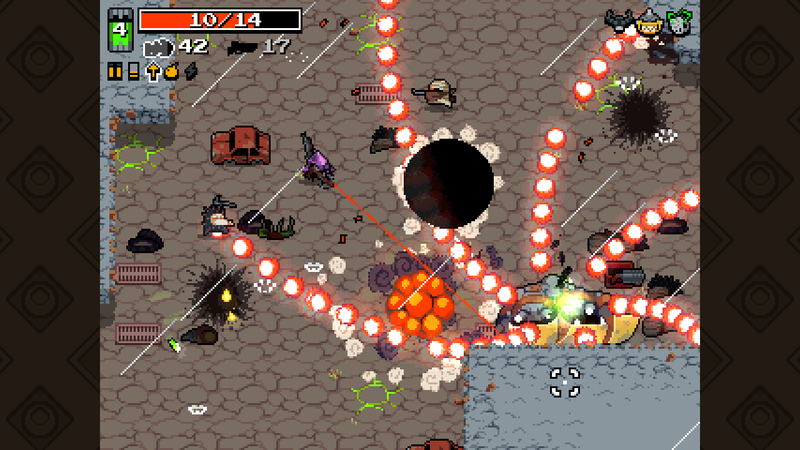 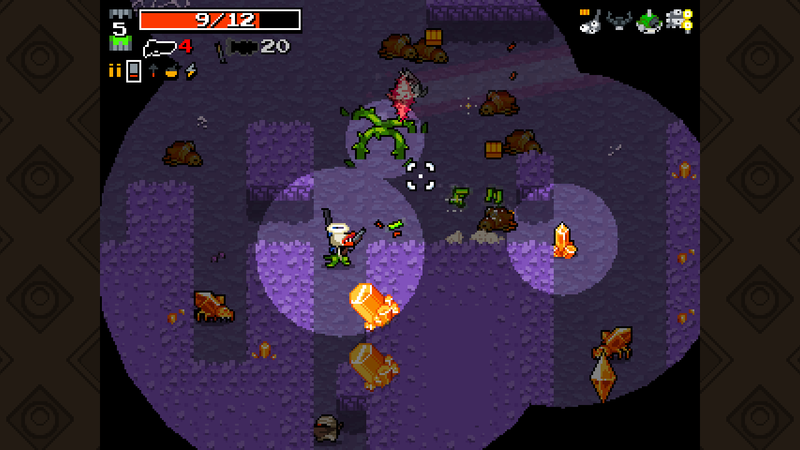 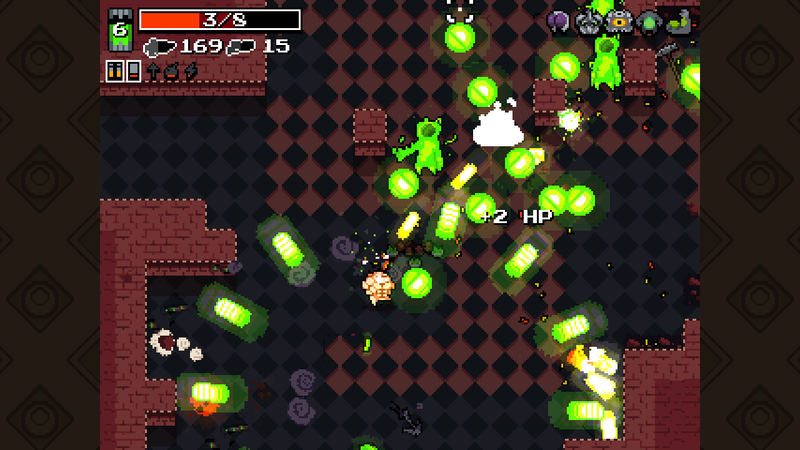 This permission can be found in writing at http://www.vlambeer.com/press/sheet.php?p=Nuclear_Throne. 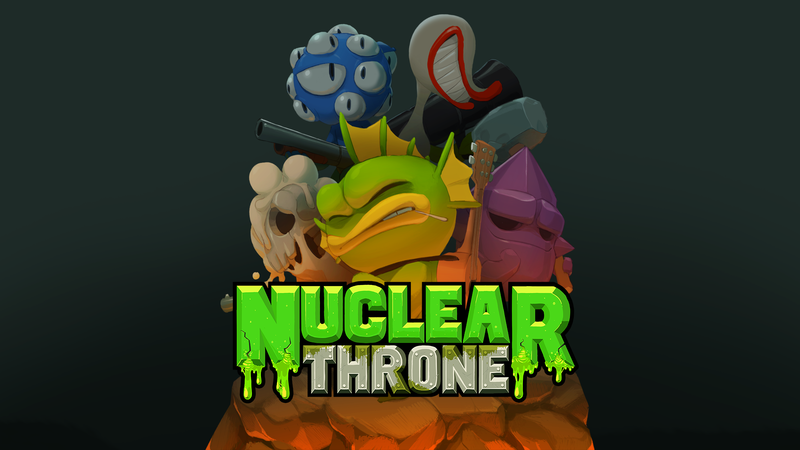 The OST for the Mojam version of Nuclear Throne is available at kozilek.bandcamp.com. 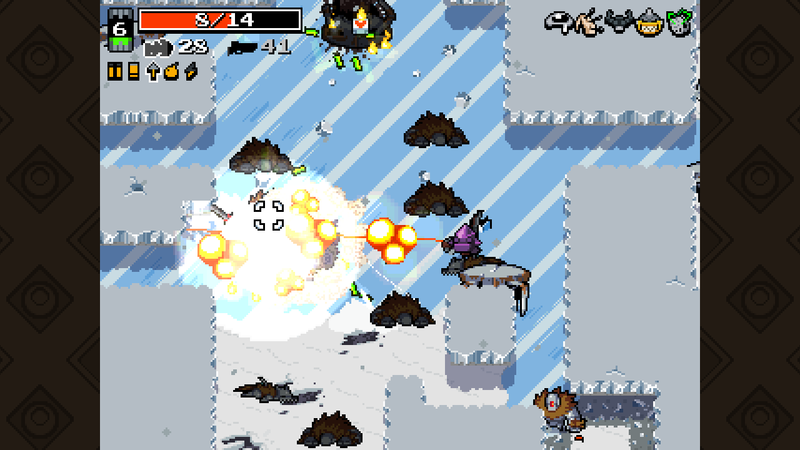 Vlambeer is a Dutch independent game studio made up of Rami Ismail and Jan Willem Nijman, bringing back arcade games since 1774.